This new walking route will take you along a site known for a memorable episode in Friesland province’s recent history. 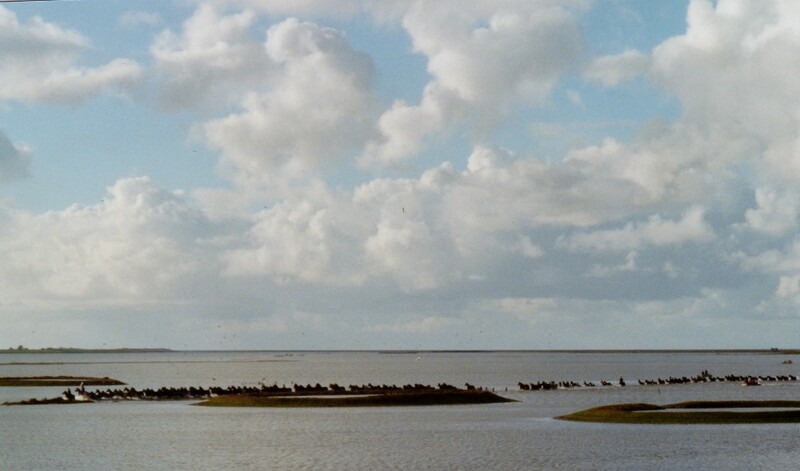 When a huge storm surge pushed seawater into the earth outside the dikes of the village of Marrum on the night of October 31, 2006, 150 horses ended up stranded on a ‘dobbe’ (a type of small island) behind the dike. After a joint effort involving wranglers, firefighters, veterinarians, animal welfare officers and the Dutch Army had failed to bring the animals to safety, six local women on horseback successfully herded all but one of the horses across the path. It was an extraordinary event, and the story of the Marrum Horse Rescue is etched in the collective memory of Dutch nature lovers and horse aficionados alike. A memorial was subsequently erected in 2011 to mark the bravery and ingenuity of these women. At the initiative of Plaatselijke Dorpsbelang, a local interest group, a new walking route was designed that leads to the site of the rescue and which connects to the walking paths behind the dikes. The Noordoost aan het Wad project, which was launched in 2016 by the Agenda Netwerk Noordoost (ANNO) network of the communities of Dantumadiel, Dongeradeel, Ferwerderadiel and Kollumerland, is a development partner in this project. ‘Noord-Fryslân Bûtendyks’ consists of summer polders, ‘dobben’, salted grasslands, mud fields and salt marshes. The area is over 4180 hectare. You will find many birds here, including meadow birds like the redshank and yellow wagtail. They are joined in winter by the brent goose and barnacle goose, finding their food for the winter. Salt-loving plants are responsible for the beautiful colours in this area. Planten die er onder andere voorkomen zijn zeekraal, zeeaster, schorrekruid, spiesmelde, gewone zoutmelde, zeeweegbree, melkkruid, aardbeiklaver en zee alsem. Op de hoger gelegen delen komen er vooral zwenkgras, herfstleeuwentand en zilverschoon voor. ‘Dobbepaarden’ is a project in collaboration with It Fryske Gea.